Turn ON or OFF electrical devices using remote control is not a new idea and you can find so many different devices doing that very well. For realization of this type of device, you must make a receiver, a transmitter and understand their way of communication. 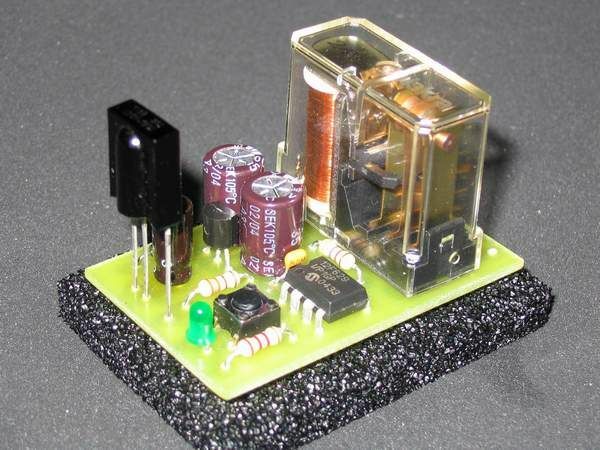 Here you will have a chance to make that device, but you will need to make only the receiver, because your transmitter will be the remote controller of your tv, or video …This is one simple example of this kind of device, and I will call it IrOn-Off or Ir-switch. Choose one key on your remote controller (from tv, video or similar), memorized it following a simple procedure and with that key you will able to turn ON or OFF any electrical device you wish. So, with every short press of that key, you change the state of relay in receiver (Ir-switch). Memorizing remote controller key is simple and you can do it following this procedure: press key on Ir-switch and led-diode will turn ON. Now you can release key on Ir-switch, and press key on your remote controller. If you do that, led-diode will blink, and your memorizing process is finished. To make this device will be no problem even for beginners in electronic, because it is a simple device and uses only a few components. 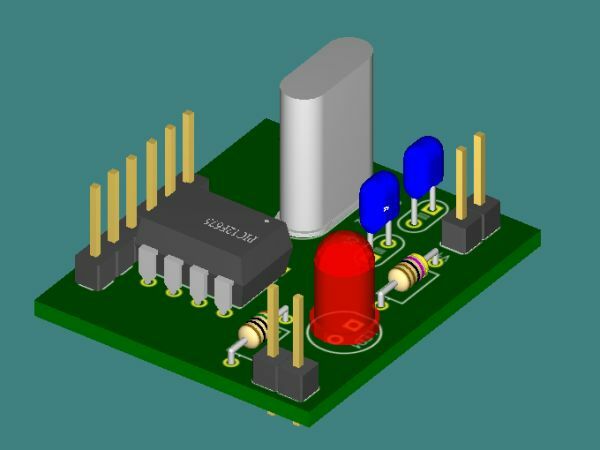 On schematic you can see that you need microcontroller PIC12F629, ir-receiver TSOP1738 (it can be any type of receiver TSOP or SFH) and for relay you can use any type of relay with 12V coil. Program code for this device is used from IrLightDimmer and it’s only a subroutine, which is used for memorize and recognize ir-protocol.